Dr Michael Foley, the author of Drinking with the Saints: The Sinner’s Guide to a Holy Happy Hour, has come up with a new concoction especially to celebrate tomorrow’s tenth anniversary of the motu proprio Summorum Pontificum. (Click here to read Peter Kwasniewski’s review of the book, which we published in June of 2015.) We reproduce it here from OnePeterFive with his permission, and our thanks - enjoy! 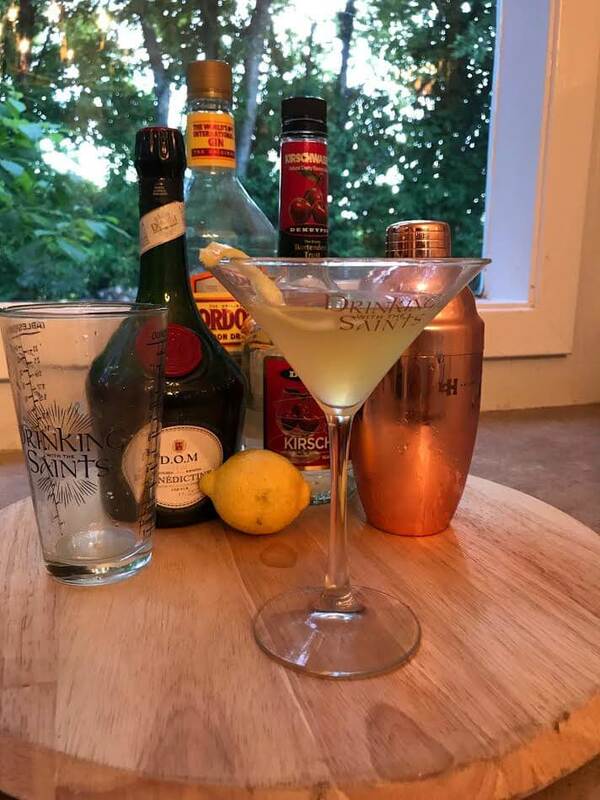 As for the London dry gin, we like to think of it as a nod to all of the English-speaking supporters of Summorum Pontificum such as the good folks at OnePeterFive, the New Liturgical Movement, (thank you, sir!) The Latin Mass Magazine, Fr. Z’s Blog, the Society for Catholic Liturgy, Una Voce, Sacra Liturgia, and so on (please forgive me if I left anyone out). To the first ten years, reverend Fathers and recognizable Sisters, ladies and gentlemen: May what has begun in our day be brought to perfection, for the honor of God and of Our Lady and of all the Saints. Happy anniversary and many more!